As an Indiana Stellar community, Bedford will work collaboratively with state agencies to achieve it’s long-term strategic goals and create opportunities for the local community. Updates on some Stellar projects were on the agenda for members of the Bedford Board of Works during a special end-of-the-year meeting. From birthday parties to wedding receptions, Bedford has numerous facilities available for rent. NOTICE: All City of Bedford Offices will be closed on Friday, April 19th, 2019 in observance of Good Friday. TASC buses will not be running. All Friday trash routes will be picked up as regularly scheduled. Special Assistance/Rear Loader, and Compost routes will be picked up on Monday, April 22nd. The Bedford City Council Meeting Will Be Held On Tuesday, April 9th at 7:00 PM In The City Hall Mark E. Scherschel Sr. Council Chambers. The Bedford Redevelopment Commission Meeting Will Be Held On Monday, April 8th At 4:00 PM In The City Hall Mark E. Scherschel Sr. Council Chambers. The Board of Works And Safety Meeting Will Be Held On Monday, April 15th At 4:00 PM In The City Hall Mark E. Scherschel Sr. Council Chambers. THE BEDFORD CITY BOARD OF WORKS AND SAFETY WILL HOLD A SPECIAL MEETING ON MONDAY, APPRIL 1ST AT 4:00 PM IN THE CITY HALL MARK E. SCHERSCHEL SR. COUNCIL CHAMBERS. THE MEETING IS FOR THE RECEIVING AND OPENING OF BIDS FOR THE EDGEWOOD DRIVE MILLING AND RESURFACING PROJECT, AND APPROVAL OF THE DUKE ENERGY GRANT OF EASEMENT AGREEMENT. PRESS RELEASE Bedford Stellar Community Work Pays Off For Release on February 19, 2019 Revised February 28, 2019 Contact: Shawna Girgis, Mayor Marla Jones, Director of Business & Community Development	City of Bedford	(812) 279-6555 - office	sgirgis@bedford.in.us mjones@bedford.in.us	The City of Bedford was designated a 2013 Stellar Community, a statewide rural community revitalization initiative unique to Indiana, which is headed by the Lieutenant Governor and the Office of Community and Rural Affairs (OCRA). Funding for Bedford’s Stellar Initiative came from the Indiana Housing and Community Development Authority, OCRA, Indiana Department of Transportation, as well as local private and public funds. OCRA states that “the Stellar Communities program embodies collaborative government partnerships and successfully leverages state and federal funding from multiple agencies to undertake large-scale projects. Through this program, Indiana is doing more with current resources and making a bigger impact in communities, even with a slimmer budget”. This big impact is evident today in Bedford. The Strategic Investment plan for Bedford’s Stellar Community application was carefully crafted for the transformative impact it would have on the downtown area. The plan was created from local planning efforts that resulted in the first comprehensive plan in 25 years, followed by a detailed and focused downtown revitalization plan. Bedford’s commitment to future growth was the driving forces behind the Stellar proposal. 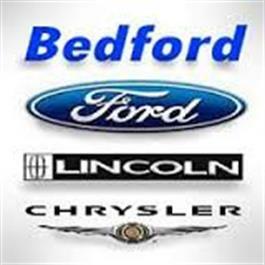 The result of these efforts is a Stellar Investment Plan that was developed by Bedford for Bedford. The first Bedford Stellar Community plan was proposed in 2011. Although a Stellar finalist, Bedford was not selected to be funded or receive the designation as a Stellar Community. However, several projects in the 2011 application including the Lincoln Avenue Roundabout, Milwaukee Rail-Trail, Stalker School Apartments, Lincoln Avenue and U Street Channel stormwater infrastructure improvements have been completed through grant funds outside of the Indiana Stellar Program and have brought over $10.7 million to the community as a result of state or federal grants. Utilizing the City Comprehensive Plan and the Downtown Revitalization Plan as guides, the 2013 Bedford Stellar Community Proposal focused on the heart of our community, the downtown. An impact area was chosen and goals of the 2013 Stellar plan were developed, which are listed below. •	Promote Economic Development, particularly on Main Street •	Insure a Trained and Ready Workforce •	Cultivate a Vibrant Downtown District •	Enhance Quality of Life To make these goals a reality the City of Bedford has implemented projects including the Limestone Downtown Connector Trail; relocation and renovation of the Milwaukee Depot; the Stone Gate Arts & Education Center; Stonecutters Place – Senior Apartments; Murals; improvements to the Downtown Bedford Streetscapes, Façades, and the Courthouse Plaza; as well as development of Harp Commons. Projects that have yet to be completed include gateways to the downtown area and wayfinding signage. The City of Bedford led proposal development, but the Stellar Community designation was the result of a team effort that would not have been possible without local financial investment in this endeavor. The City of Bedford worked with Hope Flores, Director of the Lawrence County Community Foundation to establish a Bedford Community Development Fund that started a local fundraising campaign. When the Lawrence County Commissioners and Lawrence County Council pledged $500,000 toward a dollar for dollar matching fund for all non-city investment, fundraising efforts flourished. To date, the 2013 Stellar Community projects have brought over $27 million of investment to downtown Bedford. Of these funds approximately $945,000 came from the city budget. The Redevelopment Commission invested $3.2 million and secured a $3.5 million USDA Rural Development low-interest loan using TIF funds to complete the StoneGate Arts and Education Center. The remainder of the funding was provided through state and federal grants, private local investment, and donations. The City of Bedford is grateful to the following individuals and organizations for their financial investment in Bedford’s Stellar Community Initiative. Private donations from local organizations and individuals total $1,169,340. •	Bedford Area Chamber of Commerce •	Bedford Federal Savings Bank •	Bedford Redevelopment Commission •	Bedford Revitalization, Inc. (BRI) •	Bedford Times – Mail •	Bedford Urban Enterprise Association (BUEA) •	Steve Fergusson •	General Motors •	German American Bank •	Hoosier Hills Credit Union •	Hoosier Uplands •	Indiana Department of Transportation (INDOT) •	Indiana Housing and Community Development Authority (IHCDA) •	Indiana Office of Community and Rural Affairs (OCRA) •	IU Health - Bedford •	Lawrence County Community Foundation •	Lawrence County Government •	Lawrence County Economic Growth Council •	Lee Marchant – Garden Villa •	Radius Indiana •	Regional Impact Fund •	Stone City Products •	Vision Group – East Gate Business & Technology Center From 2011 - 2019 the City of Bedford invested just $1.00 of general budgeted funds to leverage nearly $20.00 in investment or 4.7% of the $38 million in projects that were initiated as a result of the Indiana Stellar Community Program. The entire 2013 Stellar project area and downtown Bedford is in a TIF district, which enabled the Bedford Redevelopment Commission to invest in the project. The Redevelopment Commission invested 17.8% of project funds with each $1.00 through TIF funds leveraging $4.59 of additional investment. Mayor Girgis shared “Bedford’s 2011 and 2013 Stellar Community planning efforts and implementation demonstrates the commitment of city leaders to the growth and improvement of our community that would not have been possible without state and federal grant funds. I am extremely grateful to the State of Indiana for investing in Bedford, as well as the commitment of the City Council, Redevelopment Commission, Lawrence County Government, and numerous private partners that believed and invested in this work. It is because of each of these organizations and individuals that these plans have become reality. I encourage future leaders to vigorously pursue state and federal dollars that would otherwise go to other communities. These dollars enable us to improve the quality of place in Bedford, which is essential to attracting and retaining individuals, families, and businesses to the greater Lawrence County community”. Detailed information regarding each Stellar Community project funding sources including grants, city budget dollars, RDC/TIF funds, donations, USDA Rural Development, investors, and other investment is provided on the attached spreadsheet. Please note that this information will be updated and will not be finalized until all Stellar Community grants and projects are completed and closed out with the State of Indiana. The 5th & Lincoln Avenue intersection will be closed from February 4th for approximately two months to install storm sewer pipe as well as lower water lines and install inlets. The project continues north on Lincoln Avenue to 1st street with a new trunk line so there will be additional block closures North as the project continues. The contractor, King’s Trucking will be working as fast as possible to get this intersection opened back up. With the Lincoln Avenue storm water project there will be inconveniences for larger trucks that may make deliveries in town to the north end. The alternate route on 4th Street entering and exiting on S and M street as a way to get larger vehicles around the Lincoln Avenue Intersection will be used. There will be temporary no parking along different sections of 4th Street. This is a much needed infrastructure improvement to remove the storm water on the north end of town that was included in our approved compliance plan with Indiana Department of Environmental Management to reduce or prevent sanitary sewer inflow and infiltration to Spider Creek lift station with the goal with other projects to eliminate prohibited sanitary sewer overflows. We will compile an email list to get information out as needed for businesses and residents in the area if you would like to give me an email address to send updates. My email is madams@bedford.in.us if you want to send me your email. If you have any concerns or questions please contact me at 812-278-4371 or Mike Reynolds who is the storm water coordinator at 812-788-0303. All businesses remain open during construction. Please drive carefully in this area. The City of Bedford will hold it's Halloween Trick-or-Treat Night on Thursday, October 31st from 6:00 pm to 9:00 pm. - ONE NIGHT ONLY!